Janet Levine is an author, educator, and presenter. Janet has decades of published writing experience both as a book author and a freelance journalist. She is the author of four published works. For twenty nine years (1986-2014) she taught in the English department at Milton Academy in Massachusetts. She leads workshops and presents programs internationally on the psychology of personality using the E-model. An anti-apartheid activist, she is an expert on South Africa and South African politics. The founder and leader of several successful non-profit organizations, in South Africa and the United States, Janet remains a committed activist for human rights. Janet Levine is the founder and director of the National Educators Institute at Milton Academy, a laboratory for programs applying personality to education. She was a tenured educator in the English department at Milton Academy. A seasoned teacher, she has a wealth of experience working with parents and children. She speaks and publishes internationally on personality and education, and has authored many articles and books, including Know Your Parenting Personality: How to Use the Enneagram to Become the Best Parent You Can Be, The Enneagram Intelligences: Understanding Personality for Effective Teaching and Learning, and a well-reviewed autobiography of political memoirs, Inside Apartheid: One Woman’s Struggle in South Africa. Her current work A Cultural Conundrum shares her experience and reflections on the interface of literature and culture in many areas of the world. 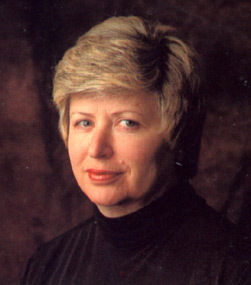 Before her work with the Enneagram (E-model), Janet — a native of South Africa — was a favorite lecturer and journalist speaking on the subject of South Africa at Harvard / Radcliffe, Yale, and Boston College, as well as a featured commentator on South African issues for ABC, CBS, NBC, CNN, and was special consultant to PBS for a Frontline documentary on South Africa. As a freelance journalist over the last 35 years, Janet has been published in newspapers and journals throughout the world with featured articles in New York Times Magazine, Boston Globe, and Yale Review. Not one to stand on the sidelines, Janet has founded many organizations to help forward the causes she believes in. While in South Africa, she held elected offices at local, regional, and national levels in the anti-apartheid political party, and was twice elected to the Johannesburg City Council. She was also the only woman and white member of a 7-person board that founded the first and largest South African black private sector co-operative, Ma-Afrika Taxi Ltd. She was the first white journalist to write a weekly column for the Sowetan and its black readership in the townships. Arriving in the United States in the mid-eighties, Janet co-founded and was the first director of ISSAEP (Independent Schools South Africa Education Program), a bridging year for black South Africans as seniors at independent high schools in the United States prior to attending U.S. colleges. Having established herself as an Enneagram expert in the early nineties, Janet went on to found and then preside as the first president of the Professional Association of Enneagram Teachers, which now has an average annual membership of 500. More recently, she founded and directed Transforming Teaching Workshops providing resources and services on personality to educators.